Monthly Subscription support service ensures you that all the magento website questions from small issues and finishing with more complicated ones will be solved in the shortest turnaround time. We offer website maintenance and support service on a monthly basis. Using our monthly subscription plan you will be able to deal with all sorts of problems that can occur when running an ecommerce site. All our monthly support clients get professional website support for the lowest hourly rate along with the fastest turnaround time. Our experts work with customers to ensure that their Magento websites provide a real and measurable return on investment. An example of a monthly support task can be anything from Magento web development, newsletter design, banner design, product picture processing to installation and/or configuration of third party extensions and small tweaks in the code. We at Plumrocket Inc are looking forward to starting long-term business relationships with you. The cost of support will vary depending on your monthly subscription plan hours (see table below). Minimum 3-month subscription of 10+ hours required for all monthly subscription plans. All maintenance and support packages are subject to 1 hour consultation charge per month. Your unused "monthly subscription" hours will last for 3 months from the date of purchase. Clients can order 24-hours turnaround for specific request for an additional fee. Maintenance requests received after 6:00pm CEST may not be answered until the next business day. 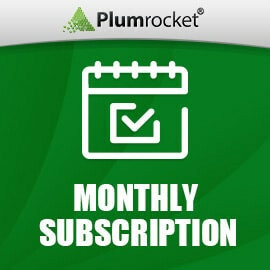 * Please contact Plumrocket Inc before placing your order to ensure we have available time slots for monthly support. A five star review for Plumrocket! Sergio Lawson posted on January 21, 2019. I wanted to thank you for the excellent job you have done to our website. There were numerous spam attacks and they’ve done everything to protect our site and improve it. They put our website to the next level! I was amazed by an outstanding results they deliver in a timely fashion. They also collaborated with me through the whole process to assure that I was 100% satisfied. I highly recommend Plumrocket company! Kevin Barton posted on December 18, 2018. Finding the right company to put your website together is a complex task. We have been working with Plumrocket for almost a year and we are beyond pleased with their impeccable service! We used their monthly service for Magento migration and update, and also for everyday support of our website. Having business for 10 years, I know that I’ve found a highly competent team to work with. Eun Kim posted on October 17, 2016. We apprentice your prompt and helpful replies! sky boulton posted on December 09, 2015. We've done a number of really cool customizations as well as some more typical site development with Plum Rocket. Some of these things we've discussed for years but to this point have no had a clear way to deploy. However, it's been rather simple for us to get these pieces working with PR. They've even caught some potentially major errors on our own and had solutions ready for us when we awoke. Coming from another cart, it's really nice how cleanly and professionally the work is integrated, often done in a fashion similar to a complete extension, whereas we are used to more of a "band aid" approach on our old cart where pieces of code are stuffed into areas they don't really fit and that may not be intuitive to use down the road. We actually feel rather privileged to have this level of development work available at our disposal as custom development rather than exclusively focused on only their own internal work. Brian Heying posted on March 30, 2015. From the moment I purchased my first extension with Plumrocket, they have been working hard to build trust. At this point I have full faith that they are capable of handling any problem that arises or satisfying any request I have with my Magento Store. I would recommend this service to anyone that doesn't have in-house developing capabilities. The service is reasonably priced and the value is great. Thank You Plumrocket. You have customers for life! Etienne Mak posted on November 21, 2014. Plumrocket are a very professional team. They always answer every query and they are always there when we need help. Laura Gomez posted on January 23, 2013.